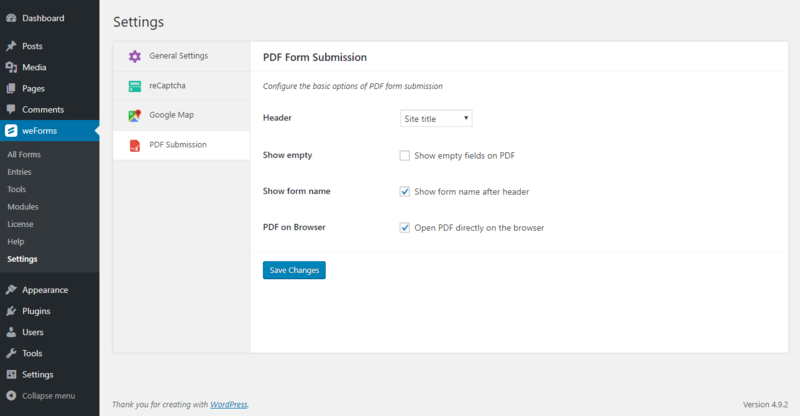 PDF Form Submission for weForms - Getting Entries As PDF Made Easy! 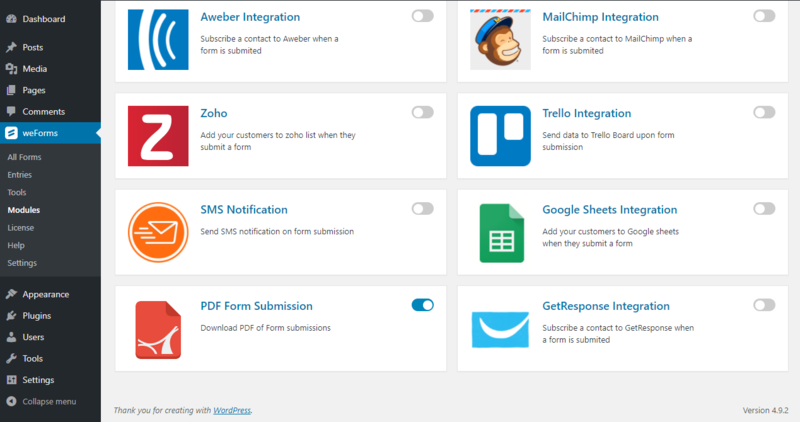 This module will enable a download button for your form entries. 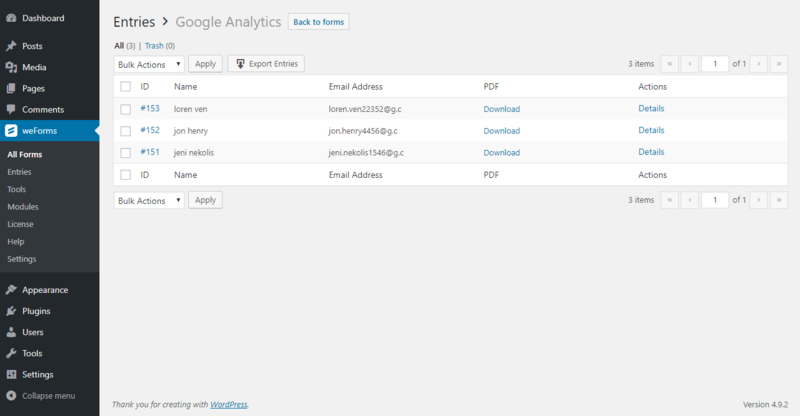 Clicking on it will create PDF version of all those data so you can share them in a cross platform environment.